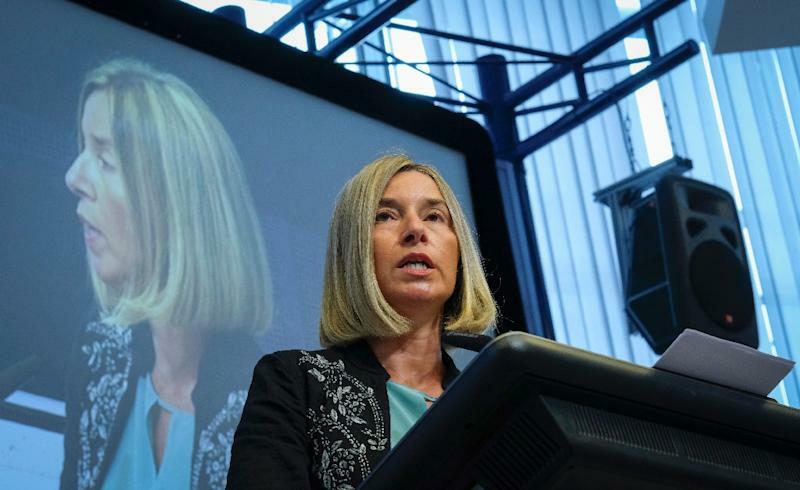 Brussels (AFP) - The EU's chief diplomat Federica Mogherini indicated on Monday she would not seek reappointment when her term expires next year. The former Italian foreign minister, who has played a major role in trying to save the beleaguered Iran nuclear deal, told a gathering of EU ambassadors that she would work hard over the coming year to leave the "house in order" for her successor. Mogherini's term will end along with the those of the rest of the current European Commission, led by President Jean-Claude Juncker, when its mandate runs out in October next year. "We have a lot to do this year. First of all to preserve what we have achieved so far, that has been a lot but fragile," Mogherini said. "We have a lot to do to complete the job and to leave to the one that will have the honour, the pleasure, to do this job after me next year, the house in order." Mogherini became the EU's High Representative for Foreign Affairs and Security Policy in 2014 at the age of just 41 after a rapid rise through the ranks of Italian politics. She faced resistance from Eastern European countries who saw her as inexperienced and too close to Moscow. But she has overseen significant developments in the EU's security architecture, notably a major defence pact that aims to get member states to cooperate more closely and spend money more effectively. Her efforts to preserve the 2015 Iran deal, under which Tehran curbed its nuclear programme in return for sanctions relief, have struggled in the face of intransigent opposition from US President Donald Trump, who withdrew from the pact earlier this year.